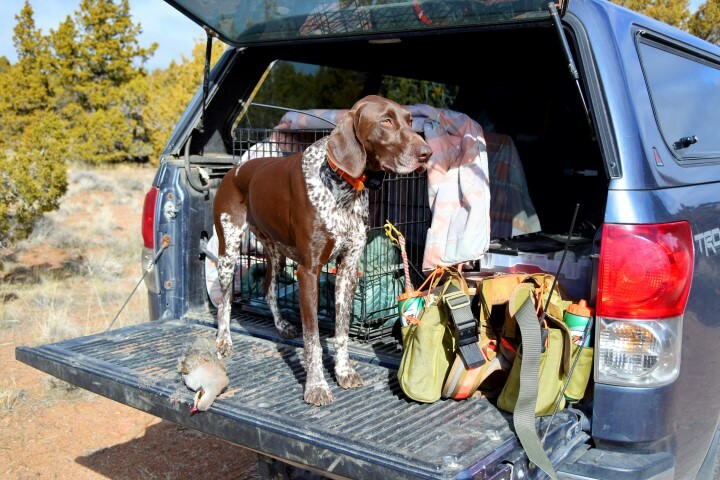 Chancey and I wrapped up our season with a couple of chukar hunts in Nevada. Numbers seemed down this year and we never really could get 'em figured out in the some of the new spots we tried, and these two hunts were more of the same. Day 1. Small covey, plucked one but they rest flushed to the next county. 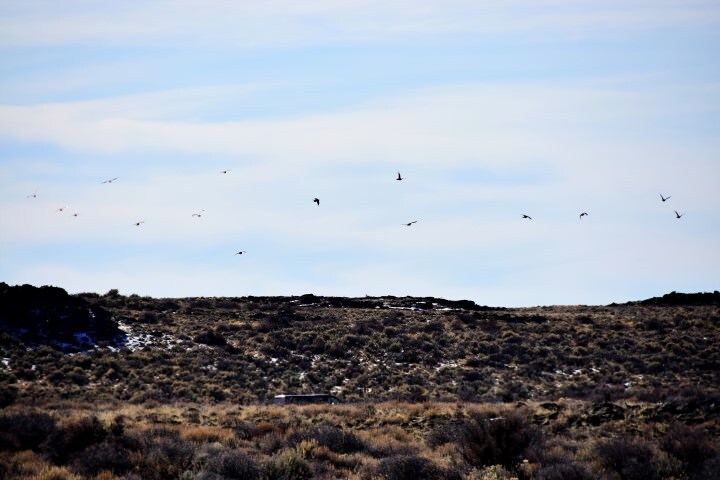 Mess of sage grouse. Might have to go after these next September. Day 2. This turned out to be a small group of three birds that were running when I caught up to them. They flushed well out of range. Covey #2. Flushed over bluff with no chance for a shot. Last covey of season. Managed one bird off the flush. Last edited by mtlhdr on Mon Feb 05, 2018 5:29 pm, edited 1 time in total. That is one fine looking dog. That smooth coat really shows what great shape he is in. I gotta say your pics are motivational. Makes me want to chase the next sunrise hunt stuff down and shoot it! You two had a great season thanks for taking us along. 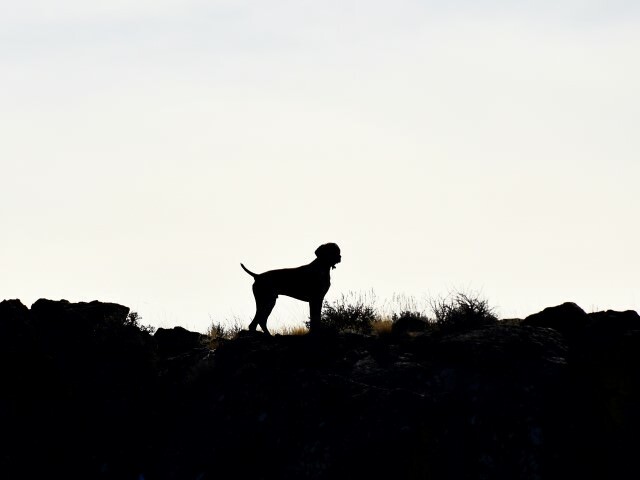 Walking beautiful country behind your dog, some great photos to remember it by and couple of hard earned late season birds. Good way to end the season. If you're interested in the sage hen hunt on the Sheldon let me know. I'm thinking I will put in for the draw next year. 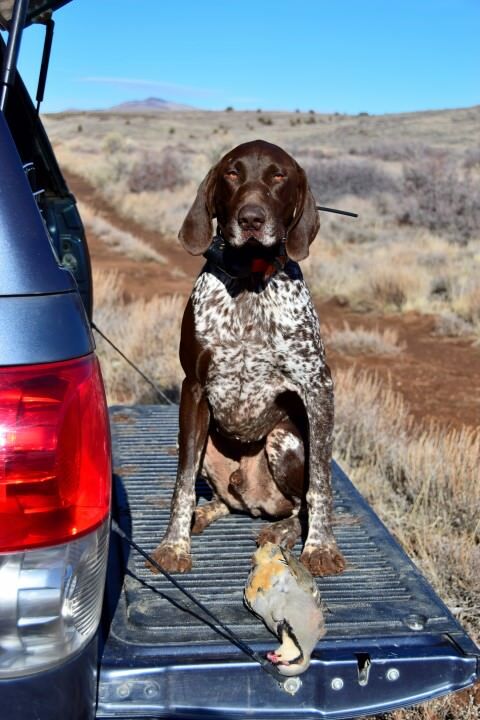 modocgsp wrote: If you're interested in the sage hen hunt on the Sheldon let me know. I'm thinking I will put in for the draw next year. Sounds good. Looks like we can put in as a party. AverageGuy wrote: Walking beautiful country behind your dog, some great photos to remember it by and couple of hard earned late season birds. Good way to end the season. LongHammer wrote: That is one fine looking dog. That smooth coat really shows what great shape he is in. I gotta say your pics are motivational. Makes me want to chase the next sunrise hunt stuff down and shoot it! You two had a great season thanks for taking us along. Thanks! I really enjoy taking the photos and looking back at them, and I'm glad folks enjoy them as well. 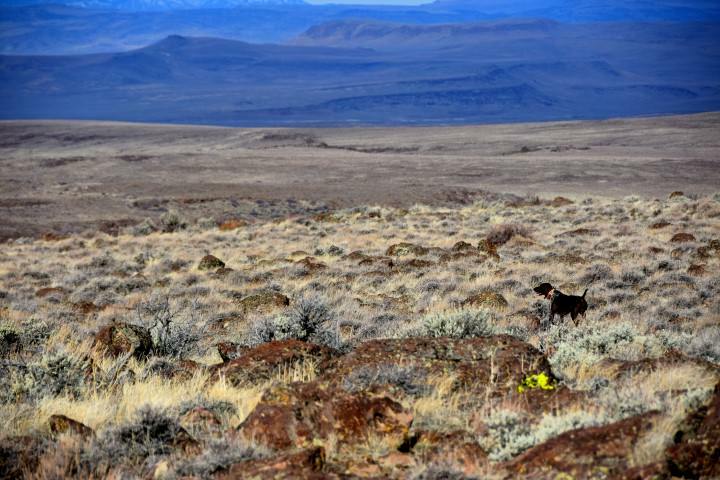 Great pictures of Chance, as usual... but man that chukar country looks so mild and flat I think Rowdy would tip over if he stood on it. 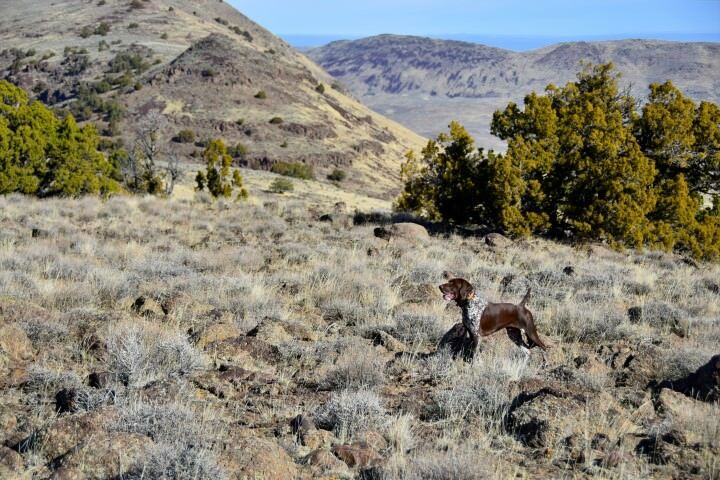 RowdyGSP wrote: ... but man that chukar country looks so mild and flat I think Rowdy would tip over if he stood on it. Yup, for sure. 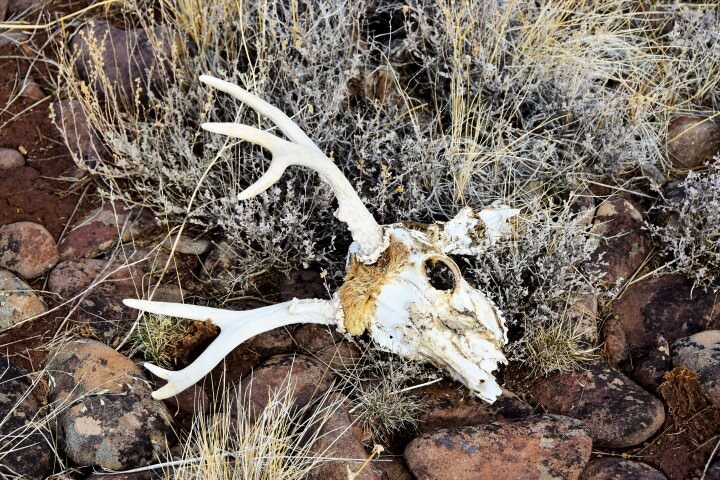 This is an area we hunted pretty hard to see if it would bear fruit. 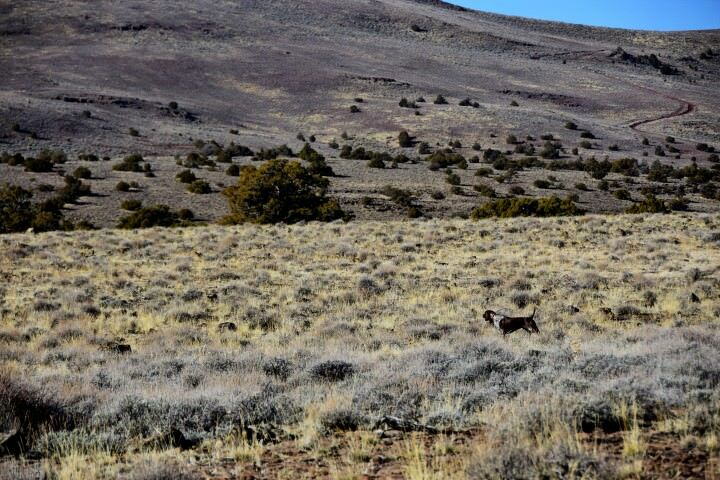 This particular part is about a mile-long plateau that ranges from 0.25 to 0.5 mile wide, one side is extremely steep (i.e., un-traversable) and the other side is moderately steep. 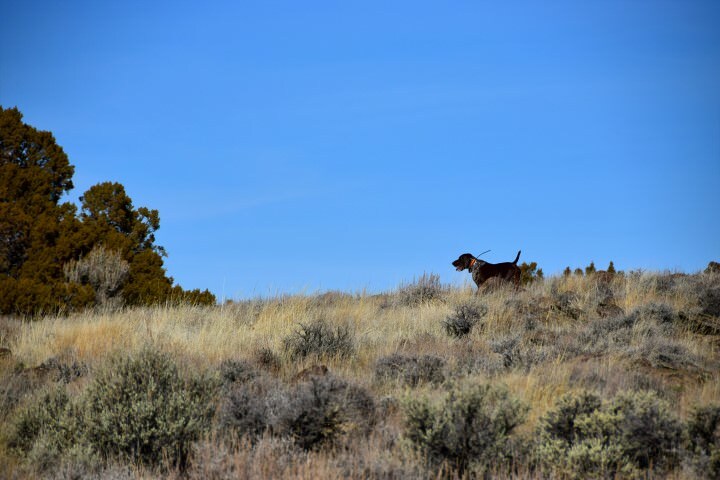 This day we walked the edge of the plateau, finding a small group in the middle and two other coveys along the steep side. I'll be looking elsewhere next year.